Cruiserweight world champion Beibut Shumenov (17-2, 11 KOs) will meet interim cruiserweight champion Yunier Dorticos (21-0, 20 KOs) in the main event and WBA Interim Featherweight Champion Carlos Zambrano (26-0, 11 KOs) defends his title against once-beaten contender Claudio Marrero (21-1, 15 KOs) in a special Saturday night edition of Premier Boxing Champions on FS1 and Fox Deportes, April 29 from Sam's Town Live in Las Vegas. 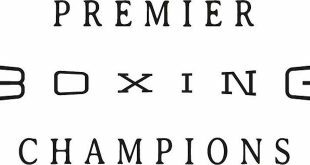 Televised coverage begins at 10 p.m. ET/7 p.m. PT as Shumenov and Dorticos will meet to unify their WBA titles in a long-awaited showdown between the former light heavyweight champion, Shumenov, and the unbeaten knockout artist, Dorticos. "I've been in the gym working hard since my last fight,'' said Shumenov. "I have been ready this entire time to defend my belt against anyone who is willing to step up. Denis Lebedev wanted to fight anyone but me and Dorticos disappeared after I signed the bout agreement to fight him February 11th in Miami. I am glad that, after many fight date changes, the fight is finally here on April 29. " "I have been waiting a long time to reach this level and I'm very excited for this opportunity," said Dorticos. "I want to thank my team at Caribe Promotions and Warriors Boxing for making this happen. I can't wait for the whole world to see me in action. "I've had a great training camp and my whole team has been working very hard. Shumenov is a great champion and I thank him for stepping in the ring with me. I can't wait for that bell to ring so I can start fighting." "Training to defend my title has been intense," said Zambrano. "We have a great team who put together a plan for me and I am giving everything I have to them. I have to get in the ring and show what I am capable of. There is only one result of this fight, I am going to win. Whether it's by knockout or points, I will leave the ring a champion." "I think the fans have been wanting to see this fight for a while, and I am prepared to give the fans an exciting fight," said Marrero. "I am focused and ready. I've been training hard with my team and I only see this fight going one way, and that's me leaving with the win." 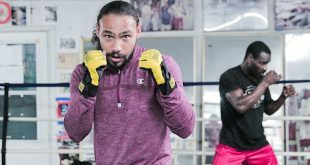 Tickets for the live event, which is promoted by Mayweather Promotions and TGB Promotions, are priced at $75, $50 and $25, and are on sale Monday, April 10 at 12 p.m. PT. Tickets are available online at www.samstownlv.com/entertain. "We can't wait to bring another thrilling night of fights to the great fans in Las Vegas at Sam's Town Live," said Leonard Ellerbe, CEO of Mayweather Promotions. "This main event is going to be a scintillating cruiserweight title fight on FS1 and Fox Deportes and we are also looking forward to Carlos Zambrano making his Mayweather Promotions debut against a very tough challenger in Claudio Marrero. 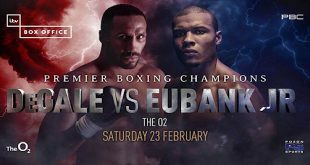 There will be an action packed undercard featuring a slew of Mayweather Promotions fighters, so you will want to get there early to enjoy the whole show!" A native of Shymkent, Kazakhstan and fighting out of Las Vegas, Shumenov looks to build on a strong start to his campaign at cruiserweight after picking up a title against B.J. 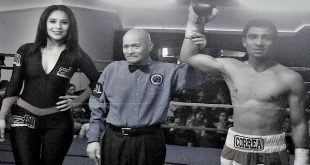 Flores in July 2015 and defending the belt with a TKO victory over Junior Wright last year. The 2004 Olympian for Kazakhstan won a world title at light heavyweight by defeating Gabriel Campillo in Las Vegas in 2010. Fighting out of Miami by way of Havana, Cuba, Dorticos is unbeaten since turning pro in 2009 after a decorated amateur career. Dorticos won a regional cruiserweight title over previously unbeaten Hamilton Ventura in 2014 and continued his ascent to a world title with victories over Edison Miranda, Galen Brown and Fulgencio Zuniga. He won his interim title with a stoppage victory over Youri Kalenga in one of the most exciting fights of 2016.